CompactFlash is the world's most popular removable mass storage device. The CompactFlash card is about the size of a matchbook and only weighs half an ounce. The card was designed based on the popular PC Card (PCMCIA) standard and can easily be slipped into these slots with the use of a low-cost adapter. CompactFlash technology has resulted in the introduction of a new class of advanced, small, lightweight, low-power mobile products that significantly increases the productivity and enhances the lifestyle of millions of people. These products include digital cameras, digital music players, desktop computers, handheld PCs (HPCs), personal communicators, Palm PDA's, Auto PCs, digital voice recorders and photo printers. 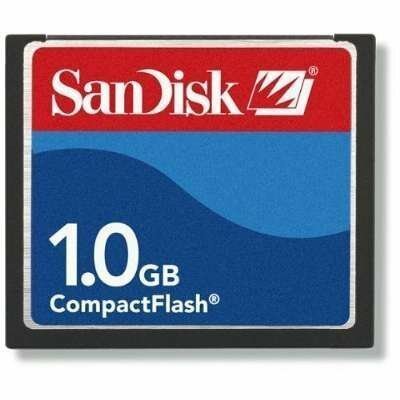 SanDisk, the inventor of this product, has led the market for CompactFlash since its inception. This item is "Bulk" packaged.